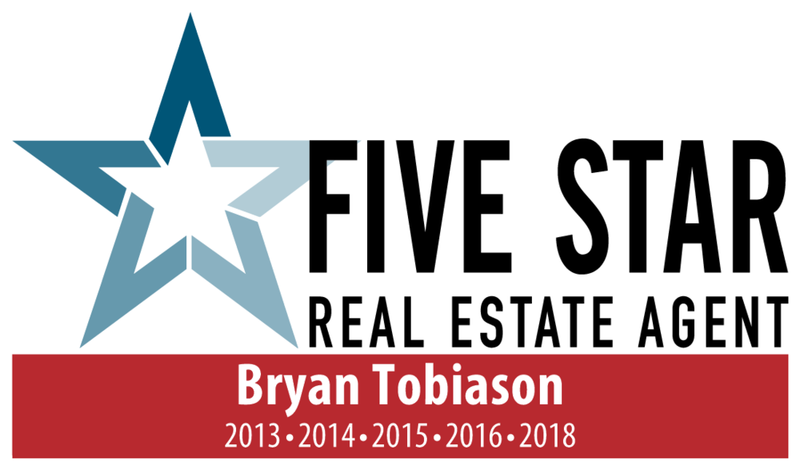 Here are all the ways Bryan Tobiason can help when buying a home. Are you looking to buy a home? I am here to help! Working with buyers is one of my favorite aspects of being a Realtor®. I am very serious about finding the right home for my buyers and spend a lot of time previewing homes and scanning all listings before I send them to you for review. It would be my pleasure to help you find THE PERFECT home. My valuable services are free for those buying homes over $100,000 and in fact I save my clients an average of 4% when they use me as their buyers representative. Just let me know what you're wanting in your next home & I'll work FOR you to find it. You have absolutely nothing to lose! Why use me as your buyers representative? I negotiate the best price possible, as your buyers agent it is my fiduciary responsibility to make sure you pay the lowest amount possible. I coordinate and attend all inspections so you don't have to. MOST IMPORTANT! I don't ever try to sell you a home, I figure if we see enough that meet your criteria we will eventually find the perfect one. "What impressed me the most throughout the coarse of your interactions with one another was Bryan's willingness and eagerness to work for me on the little left over details even after the sale was complete. I think this and this alone speaks mountains for his personal character." "Bryan was excellent in every way. I have and will continue to recommend him to myfriends and family. He is down to earth and knowledgeable. It was a real pleasure getting to know Bryan." "Bryan is a great guy and we enjoyed working with him. He made the first time home buying experience fun and enjoyable. His enthusiasm for the job really came through. We looked at over 130 homes with Bryan and he was as enthusiastic and as helpful on the 130th, as he was the 1st. He also went beyond his job duties to help us out when we got into a jam with a title issue. Thanks Bryan!" "Bryan was great!! He has a calm confident manner which was especially welcomed by me as I'm a worrier. "You bet" and "I'll get it done." were his frequent responses to our concerns. He made the whole process easy!!!"